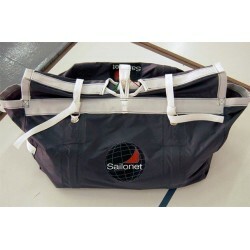 Spinnaker with predefined measures and colours. 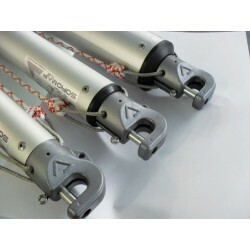 Suitable for boats where measured distance between masthead halyard and spi tack fixing point is between 14.80m and 15.70m. Used with a Sailonet spinnaker sock this sail is adapted for your boat when the measured distance between masthead halyard and spi tack fixing point is between 15.30m and 16.20m. If you have slightly different dimensions please contact us to find out which size will suite to your boat.